Indonesian national Bungaran Saragih, served as Minister of Agriculture and Forestry in the Union Cabinet between 2000 to 2001, and in the Cooperate Cabinet from 2001 to 2004. In recognition of his significant contribution, he was awarded the Satyalancana Development Award from the President of the Republic of Indonesia in 2002. Bungaran Saragih presently serves as the Chairman of Board of Trustees of the Borneo Orangutan Survival Foundation, a non-profit organization established in 1991 which strives to realize the conservation of Bornean orangutans and their habitat in collaboration with local stakeholders. He earned his PhD in Socio-economics from the North Caroline State University, Raleigh, USA in 1980, his Master of Arts in Economics from the same University in 1977, and his Bachelor degree in Socio-economics from the Bogor Agricultural Institute in 1971. Bungaran Saragih served as a lecturer at Bogor Agricultural Institute from 1968 – 2010. Since 2010, he became Professor Emeritus at the Bogor Agricultural Institute. 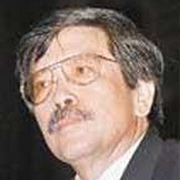 Bungaran Saragih received Matsuda Award from the International Society for Southeast Asian Agricultural Sciences in 2005, recognizing his significant contribution to the development of science and agricultural in Asia. He was awarded a Doctorate Honoris Causa in 2004, from Goerge August University, Germany. Between 2002 and 2003, Bungaran Saragih served as the Chairman of Board of Governors of the International Fund for Agriculture Development (IFAD), in Rome.